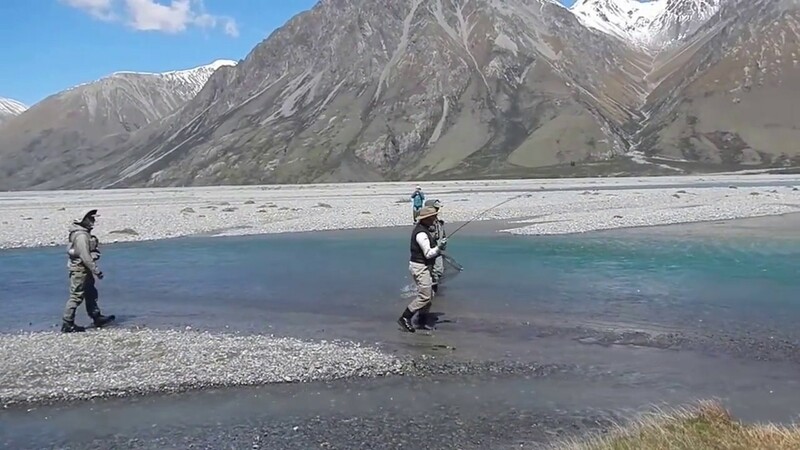 In late November 2016 a group of Hastings Fly Fishing Club members went to South Island, New Zealand for a week’s guided trout fishing trip. Despite the challenging weather conditions, and ably assisted by guides Paul McLaughlan and Paul McAndrew, we managed to catch some decent trout. Photos of the trip can be found in the 2016 Photo Gallery. Robin taking his trout for a walk before landing it. Dawn, with guide Paul MacAndrew of Aspiring Guides, excited about catching - and landing - a trout. Hastings Fly Fishers New Zealand trip, November 2016. 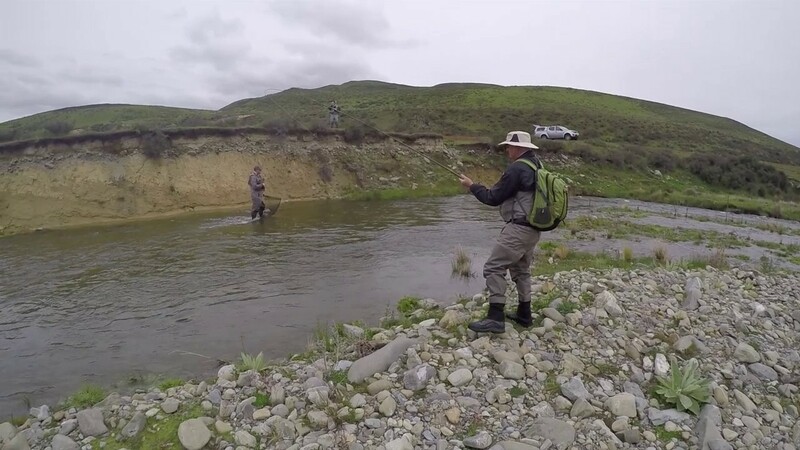 With the help of Paul MacAndrew, and Dawn cheering him on, Ron catches, and lands, his first trout of the trip. 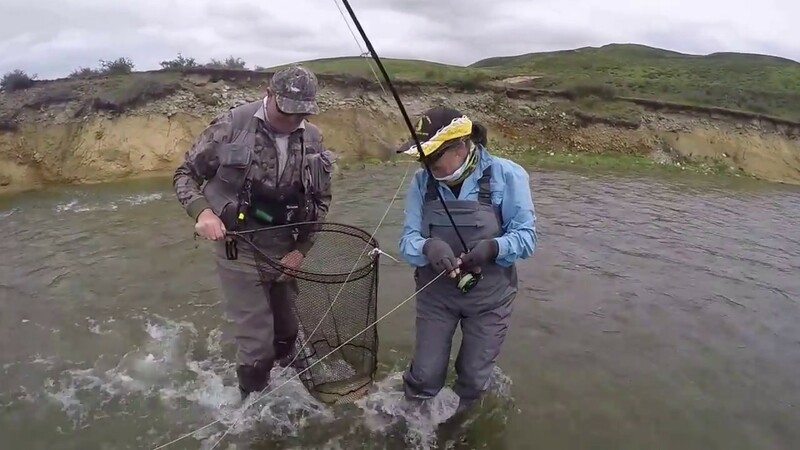 Dawn, and guide Paul MacAndrew, catching and landing another trout. Robin taking his trout for a walk (or is it taking him for a walk?) before landing it. Alan takes his trout for a short walk before eventually landing it, with help by guides, Paul McLauchlan and Paul MacAndrew. The most memorable catch of the trip - at least for this fisherman. 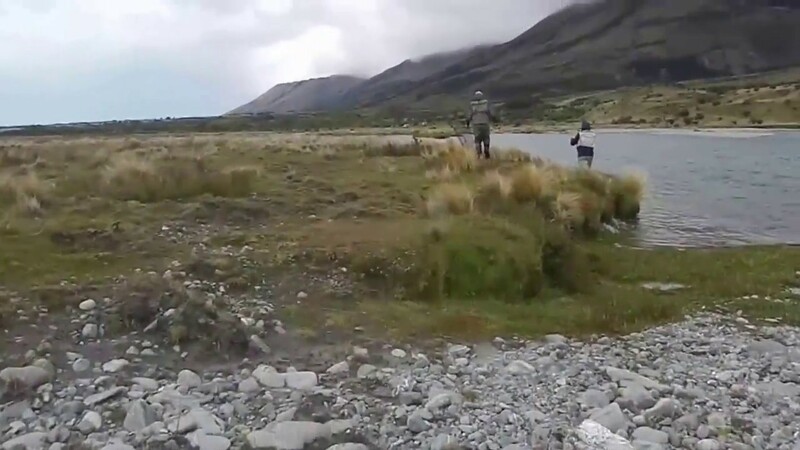 Persistence pays off in the face of strong wind and fast-flowing water for Robin. 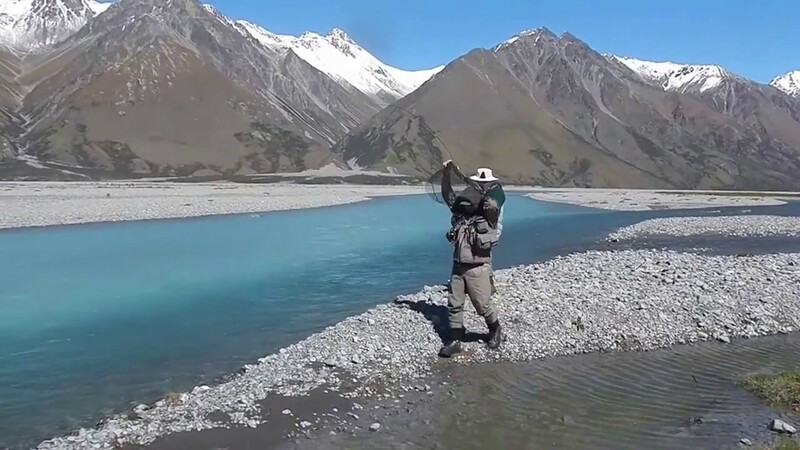 After scrambling, at times, to keep this trout hooked, he managed to land this memorable catch with the help of guides, Paul McLauchlan and Paul MacAndrew. Robin caught this trout on his late brother's fly rod.